Fiber optic networks is very basic form of terrestrial broadband transmission platform which is capable to delivers multimedia services such as voice, video and data to business and residential users. Originally, optical fiber was used to carry long-haul services across the continents because it’s extensive bandwidth offered with future-proof expansion opportunities. With the continued demand from emerging technology such as VoIP, IPTV and HDTV,4G and 5G access network infrastructure is under extreme pressures to facilitate increasing transmission capacity and functionality. Due to its superior transmission capability over copper transmission, optical fiber is migrating into the metropolitan and local area networks (MAN and LAN) and even to the end user with Fiber to The Home (FTTH) technologies. In Teleports and Earth Stations, critical satellite transmission infrastructure is supported by off-air up and down links that are increasingly being formed by using optical fiber. 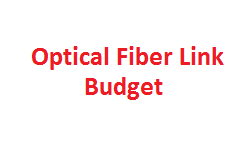 Fundamentally the end to end design of a fiber optic link also sometimes called as a FOL. FOL is very straight forward comprising a transmitter, optical fiber with connectors and a receiver. The FOL budget provides the quantitative performance information to Network Design Engineers . The FOL budget is determined by computing the FOL power budget and overall link gain. Where T is the gain of the Tx, R is the gain of the Rx, and LO is the insertion loss to the fiber link. Note the factor of two in this last optical term, meaning that for each dB optical loss there is a corresponding 2dB RF loss. 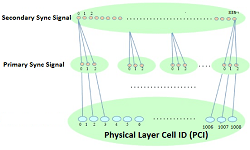 To calculate LO (insertion loss) dB loss/km due to fiber and connection loss information is required. For exampe we can take a standard corning SMF28 single mode fiber which has an insertion loss 0.2dB/km at 1310nm and 0.15dB/km at 1550nm. 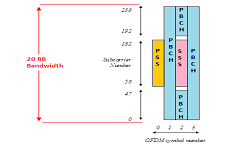 Optical connectors such as FC/APC typically have an insertion loss of 0.25dB. Optical splices introduce a further 0.25dB loss. .
-174dBm, is the noise contribution from an ideal 1 ohm resistive load at zero degrees Kelvin temperature. 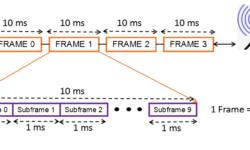 Consider a typical Fiber optical installation has noise Figure of 19dB and FOL gain attributes (Gain +Loss) about 20 dB. The system bandwidth can be assumed 25 MHz. Total Output Noise Power of the FOL can be calculated by considering the transmitted service bandwidth Total Output Noise Power of the FOL to be determined from equation (iv).